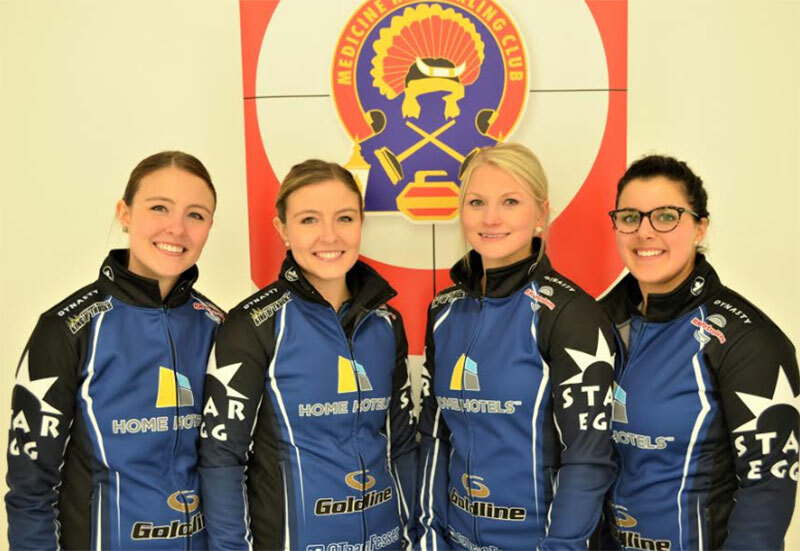 Kourtney Fesser (Saskatoon, Saskatchewan) wins the Medicine Hat Charity Classic, defeating Jodi Marthaller (Calgary, Alberta) 7-6 in an extra end at the Medicine Hat Curling Club in Medicine Hat, Canada. Fesser with Natalie Yanko at third, Krista Fesser and Karlee Korchinski on the front end take home the $3,200CDN first place cheque along with 24.635 world ranking points, while Marthaller receives $1,800CDN and 18.065 world ranking points for their second place finish. Starting with hammer, Marthaller blanked the first 2 ends, then got on the board scoring 1 in the third end. Fesser responded in the fourth end scoring 2 to lead 2-1. After Marthaller scored a single in the fifth end, Fesser responded in the sixth end scoring 4. Marthaller scored a single in the seventh end, then stole 3 in the eighth end to send the game to an extra end where Fesser scored a single for the 7-6 win. In the semifinals, Fesser defeated Sherry Just (Saskatoon, SK) 6-2 and Marthaller defeated Kelsey Rocque (Edmonton, AB) 7-3. Just won $1,400CDN, while Rocque won $1,300CDN along 13.960 ranking points for their semifinal finishes. In the quarterfinals, Fesser defeated Robyn Silvernagle (North Battleford, Saskatchewan) 8-2 and Rocque defeated Candace Chisholm (Carlyle, Saskatchewan) 7-3. Chisholm, Silvernagle earned $1,000CDN along with 9.854 ranking points for their quarterfinal finishes. Fesser went 2-2 in the 10 team round-robin pools qualifying round. In their opening game, Fesser defeated Silvernagle 6-5, losing their next game to Chisholm 8-4. Fesser lost again to Chantele Broderson (Edmonton, Alberta) 6-4, then responded with a 7-4 win over Marthaller in their final qualifying round match to qualify for the playoff round.